Being a veteran in voice and data infrastructure, I have seen many advancements in the corridor that delivers highspeed data. I have watched the transition from distributed computing to PC/Server based systems. This, in some ways, was a deregulation of the commercial technology industry where proprietary protocols and connectors became obsolete. Today, we are watching that same principal apply to industrial technologies, TELCO and even the Transportation market. Although the Traffic market has its own challenges with respect to protocol independence and small stream data delivery, the need for high speed data delivery and mission critical reliability is extremely apparent. Cross agency data share, autonomous vehicles, incident detection, video and real time performance measures demand that existing communications infrastructure be reevaluated. It is imperative to accomodate the rapidly changing analytics and informational needs of cities around the wolrd. It is increasingly important to build eco-partnerships with companies who can be responsible for more of the infrastructure “pie”. Those who design, engineer and manufacture complete OSP solutions and provide design and layout assistance will save you time and money. What if that same company could provide an engineered solution to include commercial, industrial or controlled enclosures, low voltage buildouts, power, conditioning and battery backup systems? What if that company had the resources and relationships necessary to go beyond and include third party products within the framework of a turnkey style application? Well, this is exactly what we do at Multilink. 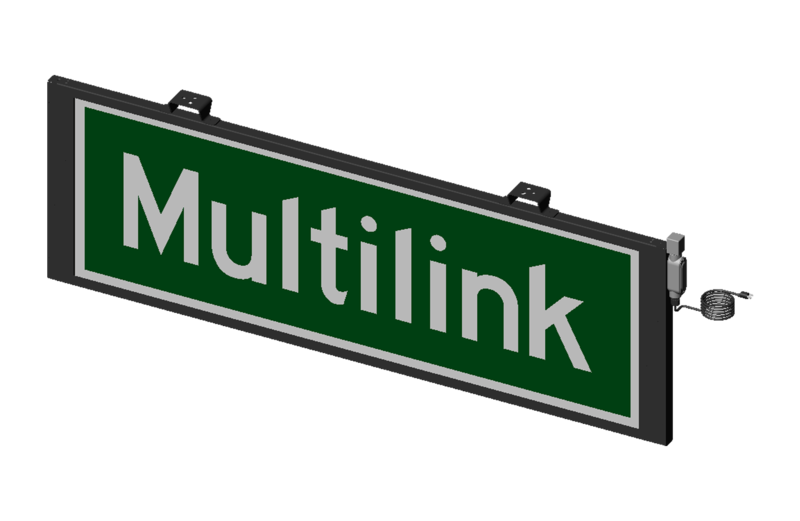 Multilink was created and driven by the communication infrastructure needs of the CATV and TELCO markets over 35 years ago. Today, we have become a leader in OSP and Premise FTTX products and have enclosures/cabinets for any application imaginable. Due to the need for reliability in these markets, we manufactured a very complete line of Battery Backup Systems to include both line interactive and double conversion models. Our turnkey systems include enclosures, power panels, fans, lights and IP based power deliver systems with I/O and relay capabilities. In 2013, we took these proven products and engineered them to comply in accordance with NEMA, CALTRANS and TS2 certifications required in the transportation industry. Our enclosures and battery backup systems have been approved in Florida, Texas, Georgia, Ohio and many other states. The Life Saver Roof is a staple across our lineup of cabinets. It was developed with the sole purpose of keeping the interior of the cabinet cooler. Outperforming the competition by 15°F-20°F allows for significant advantages. Protecting electronic equipment and easy maintenance save significant time and cost. Designed to meet UL and CSA standards. If the Multilink® Life Saver Roof is not protecting your equipment then nothing is truly protecting it. With remote deployment and use in Department of Transportation and Intelligent Traffic Systems in mind, the Smart Tracker Outlet Strip is designed to provide 8 resettable outlets for any piece of equipment that may be attached to the Smart Tracker. Each Smart Tracker is Ethernet ready and provides up-to-date operating parameters through an on board webpage. With the click of a button, the user can reset a remote device without the need to issue a technician to the site for manual resetting. With GPS tracking you will know the exact location of each Smart Tracker deployed in your system. The Multilink LED Illuminated Series is a reinforced aluminum enclosure designed for use in outdoor environments. Each LED illuminated overhead street sign can be configurated for various lengths and options. Do you want to make sure your infrastructure is built properly? We offer training through our accredited, Multilink University program. This training will help you install, commission or simply manage your next project. If you would like to learn more about our products and capabilities or need help designing a reliable communications infrastructure please Click Here and get in contact with a Multilink Sales Representative in your area. We will be happy to assist you with product selection and live models for evaluation upon request. We will also be happy to provide on-site overview/demonstrations, RFQ/RFP and design assistance. 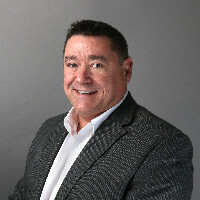 Todd Downs is a Marine Veteran with over 25 years of data, voice and video infrastructure design and 8 years in the traffic market in a technical sales capacity. Specialties include OSP fiber, network management software, routing, media conversion, adaptive systems, detection, traffic management software, video networks and management software, wireless, cellular networks and system reliability/redundancies, data capture/delivery and IOT. Todd is dedicated to the ITS market and is eager to help you and your agency solve problems with our proven solutions.